L’Oreal’s sale was good timing because I was on a budget with all the trips I would have. 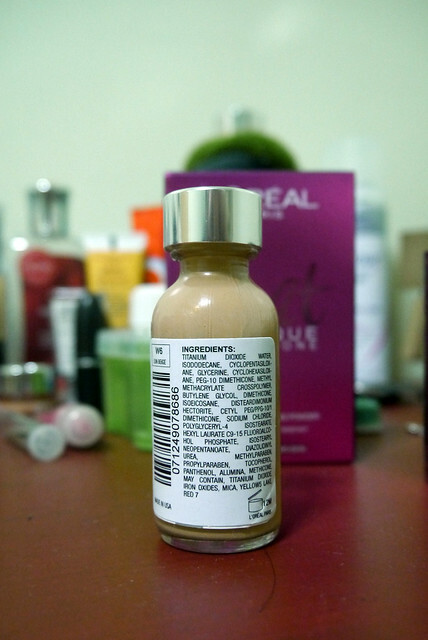 The regular price of the foundation PhP899. The sale price was PhP600. Good deal, right? I needed a foundation because I didn’t want to use my Clinique for daily use. We all know Clinique is not _that_ affordable. Good thing I have jar containers, most of which are from samples. I could use them for this. 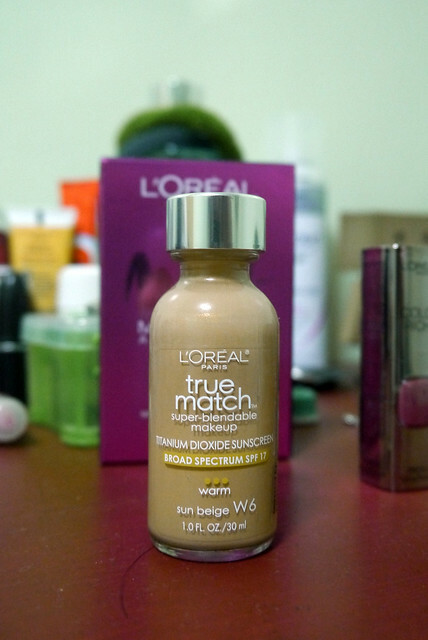 The bottle is the only less convenient about it, but it’s not really wise to bring a bottle of foundation in your cosmetic kit should there be a need. 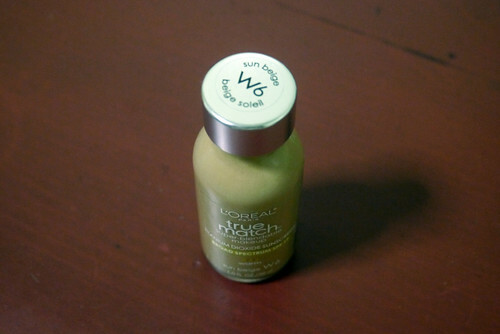 When I went to Switzerland, I brought a couple of small jars full of the foundation, but used only nearly half of one. The consistency is creamy, btw, so pouring requires attention and care.